The US Energy Department has proposed a tax system overhaul which could see USD 7 500 slashed from the price of all electric vehicles sold in the US. On February 8th the US Energy Department released a proposal to overhaul the tax credit system on the purchase of electric vehicles. Under current rules, a taxpayer buying a new all-electric vehicle in the US is eligible for a USD 7 500 tax credit when filing their annual tax returns. In a statement accompanying the proposal the Energy Department explained how the new system will work, saying, “..the current credit is going to be reformed so it will be claimable by dealers … and then with clear requirements that the benefit of the credit is to be passed along to the consumers.” The exact details of the plan are expected to be finalized soon. Under the current rules, the tax credit is restricted to the sale of the first 200 000 vehicles of any particular model. The Energy Department has indicated that it also wishes to see this figure raised to 500 000. In the statement it was announced that the Energy Department will propose that a series of 30 separate grants be issued across the US, for the purpose of developing infrastructure levels needed to support the operation of electric vehicles. The tax credit reform comes days after a speech given by President Barack Obama in which he announced his goal of leading policy changes that would see one million electric cars on US roads by 2015. In response to the potentially rising number of all-electric vehicles on the roads, Washington State Legislature has already brought forward a new Bill that would instate USD 100 per year tax on all such automobiles. 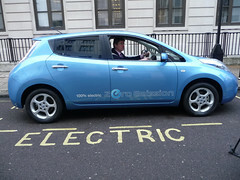 Environmental commentators in the US have already noted that this tax could set a dangerous precedent for other states, whereby the benefits of electric vehicles are lost to overzealous tax measures imposed by state tax authorities.